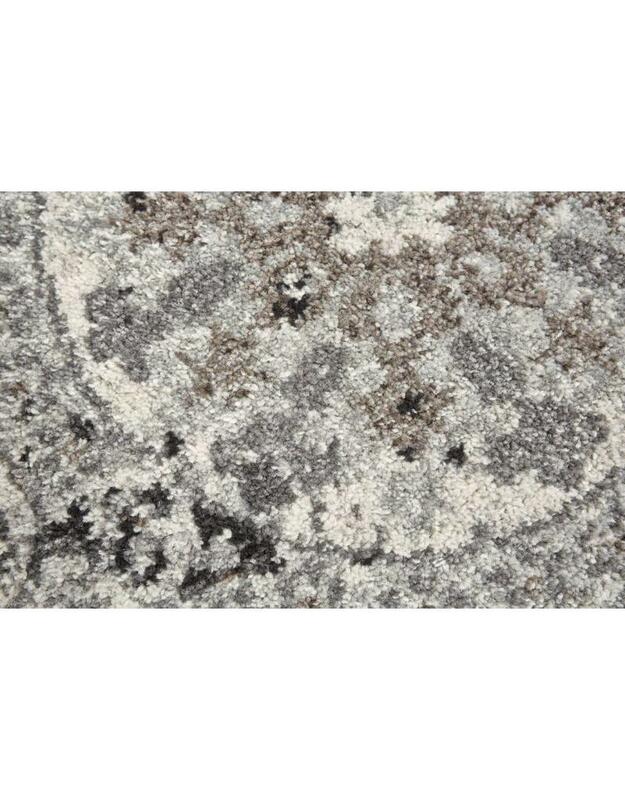 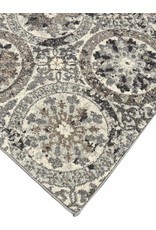 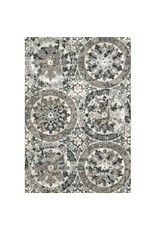 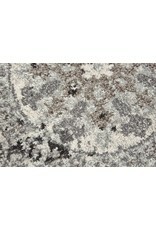 Beautiful, brand new area rug by Andover Mills with a neutral color scheme. 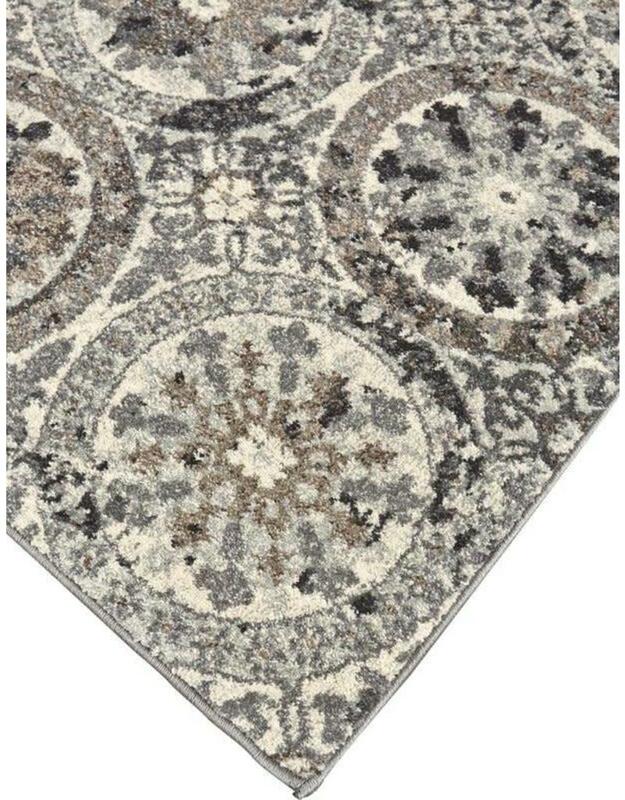 The rug ranges from the base color of "stone gray", lightens and darkens for contrast as warmer hued light beige and darker brown can be identified throughout the pattern too. 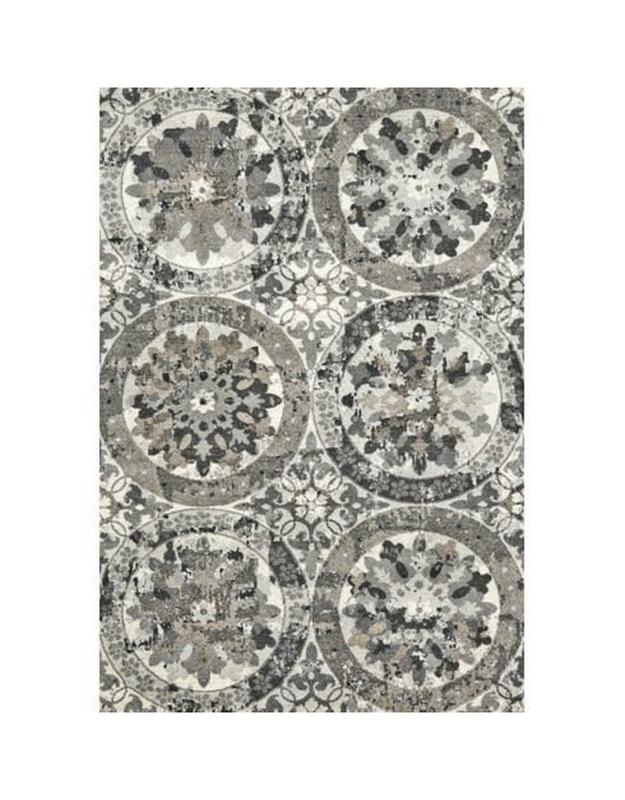 The six medallion-like focal points are identical, changing in appearance only due to the varying colors.